It seems to be getting increasingly difficult for carriers and smartphone makers to keep their upcoming devices away from prying eyes, especially now when specs for yet-to-be-announced handsets are often revealed in benchmark results. The latest one of them is the mysterious Samsung SCH-I425, codenamed Godiva, which surfaced from the GLBenchmark database. What is known about the smartphone is that Verizon is its ultimate destination, and support for the carrier's LTE network is on board. The Samsung SCH-I425 also offers a screen of unknown size with resolution of 1280 by 720 pixels. According to the benchmark results, there's an 1.4GHz MSM8960 SoC powering the device, but the presence of Adreno 305 graphics leads us to believe that the chip might be different, although it will surely belong to the Snapdragon S4 family. Last but not least, Android 4.1.2 Jelly Bean is reported to run on the Samsung Godiva. This is where the facts end and speculation kicks in. Some say that we might be dealing with a successor to the Samsung Stratosphere II because of a pattern noticed in the model names. A quick records check shows that the first generation Stratosphere, released back in 2011, was also known as the SCH-I405, while the second edition had a model name SCH-I415. Today's Samsung SCH-I425 could be a Stratosphere III (or something like that), which, if true, would mean that Verizon could soon start offering a mid-range Android smartphone with a QWERTY keyboard. We might be wrong, of course, but that's currently all the evidence we have to work with. Either way, we'll keep our eyes open for more information about the Samsung SCH-I415 Godiva. wow be a fast update to that phone but probably necessary. Wish we had more high end keyboard phones. "... which, if true, would mean that Verizon could soon start offering a mid-range Android smartphone with a QWERTY keyboard." Isn't that what the Stratosphere line already is? It was always a mid-range phone, like the Moto Droid 2, 3, & 4. Granted the Droids are no longer around, but the Stratosphere line has always been a mid-range keyboard phone. Aside from that, isn't it a little early to be replacing the Stratosphere 2? That just released last fall, which was 1 year after the original Stratosphere launched. That would mean cutting the release cycle in half. It could be the case but with people locked into 2 year contracts and no way of upgrading early, they're pushing too many phones to customers who can't get them without buying out of contract. At minimum the lifecycles of these phones should be one year, otherwise their EOL (end of life) will be come halfway through the contract. 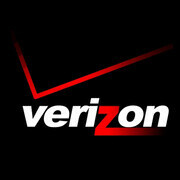 Not good for the customer, unless Verizon plans to upgrade them to the replacement phone if they have issues. Whoa, bro. Cam down. He meant (Keyboard) Droid. Yes, if it has a Droid slapped on it its usually not mid-range sans DInc line. Exactly. The original Droid series, not Incredible, X, Bionic, Razr, Pro, or DNA, hasn't been around since this time last year with the Droid4. Compared to the other Droid offerings it was mid-range, as was the Droid3. The OG Droid was a flagship and the Droid2 was just barely above a mid-range device.